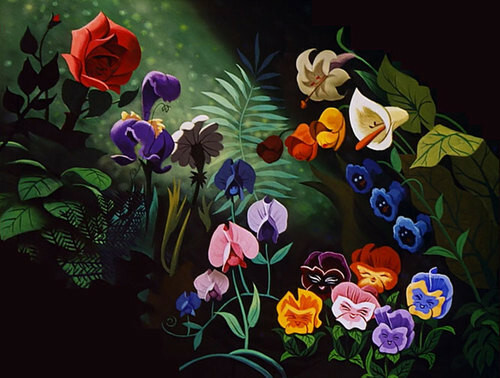 flores from Alice in Wonderland. . Wallpaper and background images in the disney club tagged: disney movie alice in wonderland flowers. This disney photo might contain ramo, ramillete, ramillete de flores, ramo de flores, hippeastrum, hippeastrum puniceum, adelfa, laurel rosa, nerium oleander, rose bay, bahía, oleander de nerium oleander, and rosa.